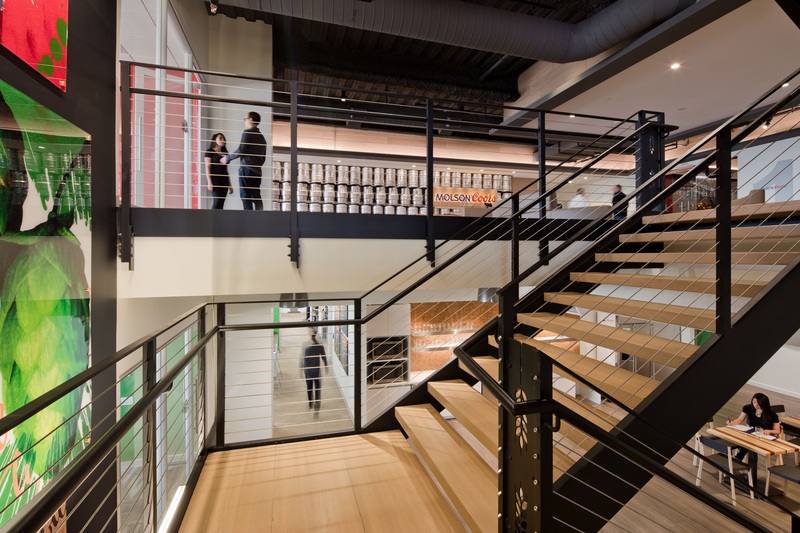 Increasingly, companies with offices occupying multiple floors in a building are installing internal staircases to allow easy transit between floors with the intention of encouraging employee interaction and collaboration. 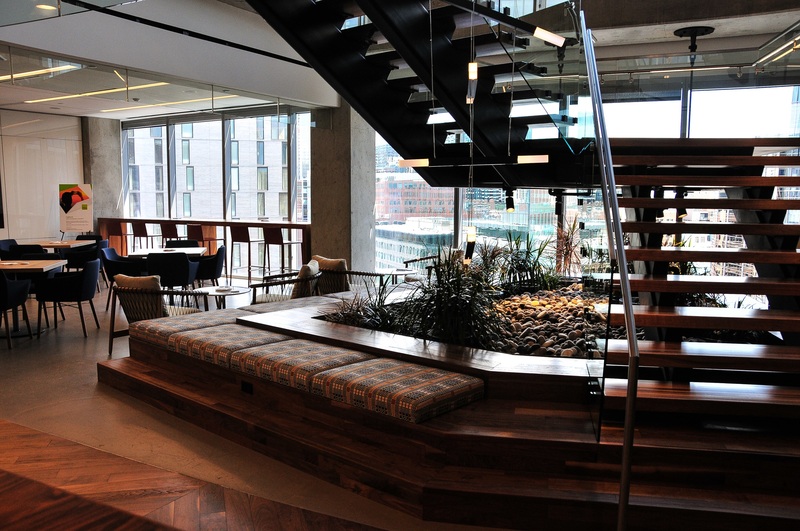 Should you dedicate valuable floor space in your new multi-floor offices to internal staircases? To answer this question, you probably need more information about the costs and benefits so that you can weigh them from your business’ perspective. Multiply the rent per square foot by the combined two-floor square footage, and the annual occupancy costs for the stairs alone could be in the six figures in markets like New York and San Francisco. As with square footage, installation costs associated with internal staircases vary greatly. Per Tracy Engel with ASD|SKY, variables such as the building fire suppression system and construction type can impact the cost as can the actual fabrication design, labor and materials. Bottom says that, fabrication can start at $250,000 and go up from there depending on grandeur. The backend costs of an internal staircase must also be considered as most landlords require the tenant to remove the staircase at lease expiration. This cost can exceed $50,000. Ideally, a broker will help the tenant negotiate a lease in which the tenant is not responsible for restoration of the floors. Before you completely write off internal stairs as too expensive for your company, consider the benefits because they can be significant. 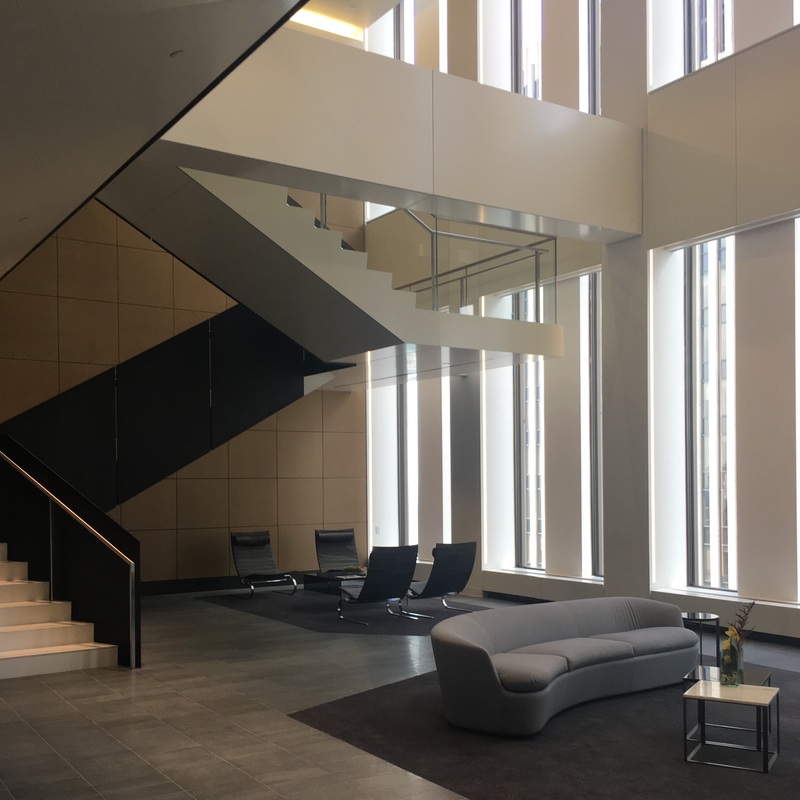 First, internal stairs encourage interaction between floors – especially when they are visually open, enabling employees to see from one floor to another. These visibly connected floors begin to feel more like one cohesive space than two distinct floors. The value of this cohesiveness cannot be overstated. 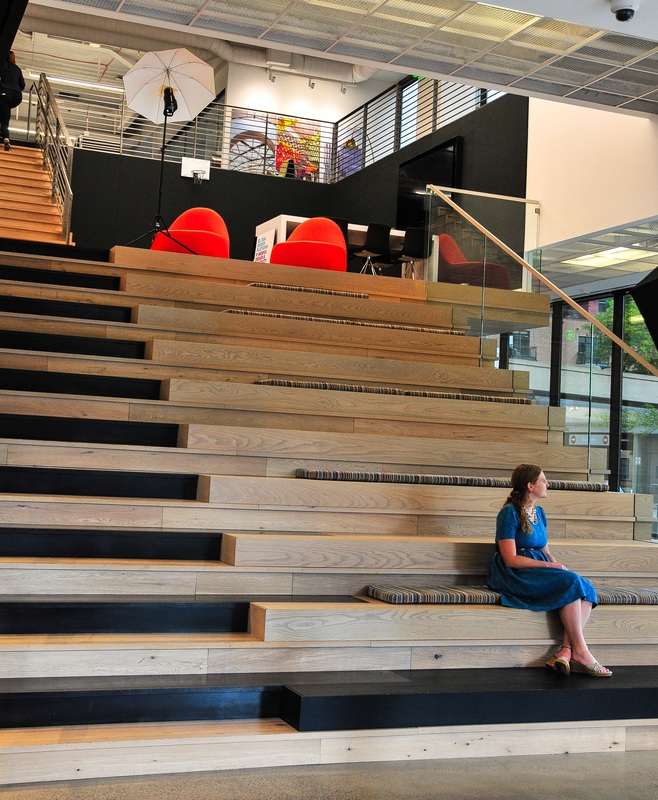 Per Bottom, “I think stairs are a very high value feature, as they truly help with communication and interaction.” Employees officing on two different floors will actually see each other and interact when they might not otherwise run into each other at all during the day. Another benefit to internal stairs: they are environmentally responsible as they greatly reduce elevator trips. Consider that often an elevator called to travel between the 10th and 11th floors, for example, is not just traveling that short distance between floors, but is often traveling from its original ground floor location to the 10th floor before it can begin the trip to the 11th floor. Stairs also promote wellness better than elevators as they encourage employees to commute between floors by walking up and down stairs rather than sauntering onto an elevator. If you decide to embrace the internal staircase, the next question is design. Cantilevered? Glass? Switchback? Multi-floor? On the glass like Hogan Lovells in Denver or in the interior of the space? Maybe you want to design stairs like William Morris Entertainment in Nashville where the staircase serves a secondary function as amphitheater seating. The options are as limitless as your budget. Internal staircases – pricey on the front end, costly through the term and potentially costly on lease expiration, however, they have a real value for some organizations and typically communicate a successful professional organization.